Latest Databurst From the 501st covering event news from June 29-July 6th. With the Fourth of July coming up there’s a lot of parade events so take a look to see if your local garrison will be in a parade near you. Central Garrison will be in Minneapolis, MN for CONvergence. Garrison Carida will be in Dubois, PA for Penn State’s Galaxy Far Far Away Camp. You’ve probably heard that Lucasfilm and Sony will be shutting down the massively multiplayer online game Star Wars Galaxies on December 15th. With Star Wars The Old Republic in the pipeline, it makes sense to streamline the marketplace and cut back on costs. However, dedicated fans created a petition to keep the game alive. The petition requests that Sony convert the game from pay-to-play to free-to-play, further suggesting that they could downsize the game to a smaller amount of servers to reduce operations costs, and profits could still be made off the sale of virtual items in the game. The idea itself has merit. According to venturebeat.com, games like Lord of the Rings Online and Dungeons and Dragons Online have been very successful in tremendously increasing their game base by changing their models to free-to-play. Yet there are also accusations that Sony is trying to silence the petition by banning players and locking forums topics involving the petition. 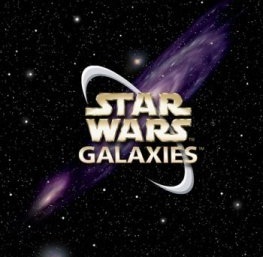 Sony even commented on the issue: “Promoting an online petition causes disruption within the community and does not provide gameplay feedback that our development team can use.” So whether or not Star Wars Galaxies can be saved remains very much up in the air, but there is one glimmer of hope gamers can cling on to. According to G4tv.com the Star Wars Galaxies Emulator will still be available on its own private server for those who wish to game on. Posted By: Skuldren for Roqoo Depot. For us R.I.P. will be Game Over. Star Wars author Timothy Zahn revealed the back cover of his upcoming book Choices of One on his Facebook page today. Choices of One will be out July 19, 2011 in hardcover and eBook formats. Enjoy the cover! Posted By: Skuldren for Roqoo Depot. We’re the droids you’re looking for.